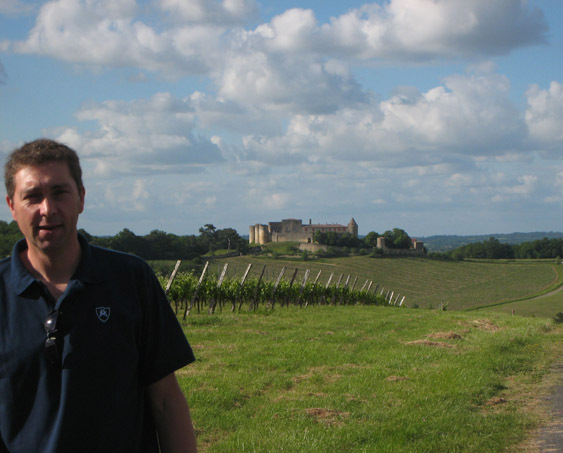 Founded Olivier is the sixth generation to manage the estate. He took over in 1994. Château Haut-La Péreyre produced its first vintage in 1891 in the lieu-dit of Péreyre, back up in the pastoral hills of Entre-Deux-Mers. It sold its wine in bulk to négociants over the years until Olivier Cailleux’s parents began estate bottling in 1974. Olivier himself was given keys to the domain in 1994 after completing his enology studies and doing internships in South Africa, New Zealand, and at Cos d’Estournel. He is the sixth generation to manage the family’s affairs. Today, Olivier farms 126 acres of grapes at Château Haut-La Péreyre. All in all, he makes a range of wine under several labels: red, white, rosé, even crémant; sells in bottle, in bag-in-box, continues to sell some in bulk (to the négoc), and he attends wine fairs on weekends to hawk his wares direct to consumers. As such, he typifies the ranks of petits chateaux, the class of unheralded small farmers who account for so much of the wine made in Bordeaux. 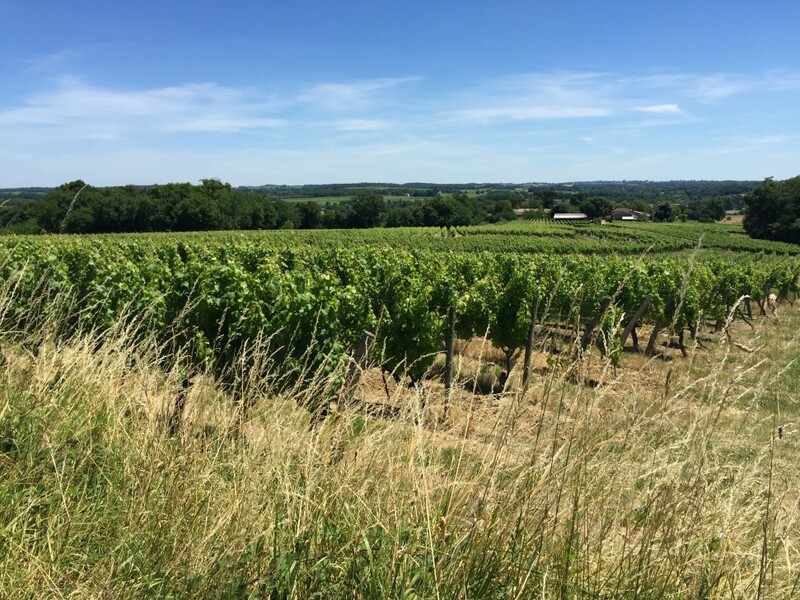 There’s little in the way of bells and whistles to announce their wines, but they can be some of the best values in Bordeaux—and France—today. 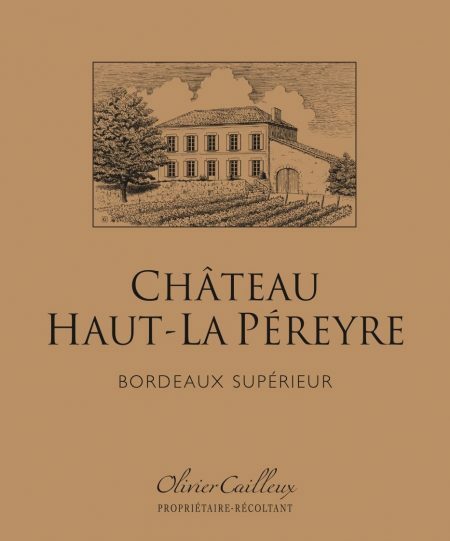 Olivier reserves 54 of his 126 acres for the production of his two most important wines, the Haut-La Péreyre red and white. Those 54 acres represent his finest terroirs. The red varieties make up 39.5 acres and the white varieties constitute 14.5 acres. Roughly 75% Merlot and 25% Cabernet Sauvignon Raised in tank without fining and bottled with a light filtration. This is a domain wine with an aromatic profile of graphite and earth that speaks clearly of Bordeaux—and one that is eminently drinkable. It is, as they say, wonderfully digestible. Production averages 5,000 cases. Haut-La Péreyre blanc Roughly 70% Sauvignon Blanc, 15% Sauvignon Gris and 15% Semillon Bone-dry refreshing white Bordeaux based on Sauvignon Blanc with some Sauvignon Gris and Semillon from the Haut-Benauge subzone of Entre-Deux-Mers, a subzone in the hills behind the river town of Cadillac long recognized for white wines. This wine was not fined or cold-stabilized and may throw tartaric crystals. Production averages 2,000 cases.